Belgian-born chef and entrepreneur Noam Kostucki summed up 2017 Holman Prizewinner Penny Melville-Brown like this: “She’s bonkers. She’s completely mad.” This from a man running a restaurant in the middle of the Costa Rican jungle — but he meant it as a compliment. And for those who know Penny, it’s pretty much spot on. Penny has big ideas and the gumption to carry them out — there’s no stopping her once she puts her mind to something. The woman has fortitude, military-learned logistics skills and an uncanny ability to connect with everyone she meets and put them immediately at ease. From the onset, Penny’s Holman prizewinning project looked to be the one with least risk involved (compared to tending killer bees and solo-kayaking a highly trafficked shipping channel). Her plan was to leave her home in the green, port-side town of Fareham, UK and travel to six continents over the course of one year. Along the way she stopped in Costa Rica, Malawi, Australia, China and the United States, and met with chefs, other blind people and community leaders all over the world. She traveled with her nephew Toby Melville-Brown who documented her whirlwind world tour in a video blog series, Baking Blind. The risks of cooking seemed minimal to an experienced baker like herself— a burned wrist here, a nicked finger there — and yet somehow Penny’s project was the one with the most sturm und drang. Penny’s tour was met with much more intrigue than she had planned— coming face-to-face with Tropical Storm Nate in Costa Rica, a visa-related marooning in China, an air-sea rescue in Australia, to name a few. But Penny took it all in stride, and embraced the uncertainties as an unavoidable and rich part of her journey. Penny has a special connection with the namesake of the Holman Prize, James Holman, a 19th Century world traveler known as the first blind man to circumnavigate the globe. Both became blind while serving in the British Royal Navy (albeit nearly 200 years apart). Penny served for 22 years in the Women’s Royal Naval Service and Royal Navy, reaching the rank of commander. She was also the first woman to hold the position of naval barrister. After being medically discharged from the Royal Navy in 1999, she created her business Disability Dynamics to help other people with disabilities find employment. So much of Penny’s work focuses not only on changing the minds of people with disabilities themselves, but changing widespread public perceptions about disability. And when asked to identify the highlights of her Baking Blind tour, it’s the small human connections that Penny pinpoints — the ones that ripple out into the collective psyche to help evolve peoples’ understanding of what it means to be disabled. Her favorite moment was cooking with two 20-year-old women in China, who didn’t even know how to hold a knife — and how quickly they formed a bond and began helping each other, growing more confident with each passing moment. Or wending her way through the bush and scrubland of Kiama, Australia with an Aboriginal chef as a guide to show them which plants were edible. Or even cooking deep in the jungle of Costa Rica with Chef Noam during a tropical storm and being forced to improvise due to the ironic lack of running water. But the end of Penny’s journey around the world didn’t turn out quite as she had expected. During a visit to France just before Christmas to explore new cooking opportunities, Penny almost died in a serious car accident where she fractured several vertebrae in her neck and broke multiple ribs and her sternum. She spent two months in intensive care and was put into an induced coma for five weeks. It was an incredibly trying time for Penny and her loved ones, but Penny fought hard — facing her rehabilitation head-on, and recovering much faster than her doctors anticipated. “When you’ve already overcome significant life challenges, you’re an old hand at it,” she says. And though Penny still has some recovery to do, she’s hard at work producing Baking Blind videos that she and Toby shot while traveling all over the world for the Holman Prize. She’s also working on a cookbook using recipes and ideas from her world travels. The strange lesson in all of Penny’s adventures is that the most serious mishap occurred not while she was stuck in muddy, pockmarked roads during a downpour in Costa Rica, or eating unfamiliar foods in the villages in Malawi — but while she was driving in a taxi in a major European metropolis. It goes to show that risk is unavoidable, and Penny would tell you there’s no use holding back from the things you want to seek out in the world. 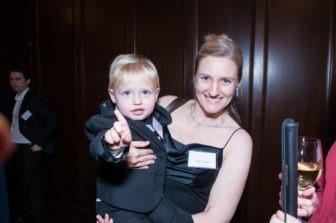 In little more than a month, Penny will again return to San Francisco to regale attendees at the LightHouse Gala about her accomplishments and discoveries during her year-long adventure funded by the Lighthouse’s Holman Prize. Last year, we started the Holman Prize for Blind Ambition, a set of annual awards of up to $25,000 each for legally blind individuals with big ideas. In our second year, we received video applications from all over the world – including nine more countries we hadn’t heard from last year – all fascinating and compelling in their own rite. The Holman Team narrowed the pool to 42 semifinalists, all of whom submitted detailed proposals mapping out their dream projects. This week, we’re proud to announce our elite group of fourteen finalists, including a “People’s Choice” finalist who we honor for receiving the highest number of YouTube ‘likes’ for his ambitious idea. These finalists will all be in the running to make their ambitions a reality when our Holman Committee meets in San Francisco this June. The fourteen finalists are as diverse and dynamic a group as you could imagine, including those who want to give back to their communities, those who seek to push the boundaries of science and tech, and those with infectious enthusiasm for a particular or unexpected craft. Becky, a marathon runner and cyclist, would use the Holman Prize to implement a series of empowerment retreats for blind and visually-impaired women. Luanne, a seasoned long-distance runner, would use the Holman Prize to educate visually-impaired communities around the world about the joys and logistics of guided running. Stacy, who works in the disability employment field, would use the Holman Prize to launch an accessible travel forum similar to Yelp or TripAdvisor, geared specifically towards helping blind users optimize their trips around the world. Having recently developed a braille code for the Navajo language, Carol would use the Holman Prize to launch a summer program to educate and share the code across the Navajo Nation. Her proposal also includes tactile interpretation of landscapes and critical features of the nation’s geography. Andrew, a biologist and geneticist, would use the Holman Prize to facilitate a conference for blind scientists and students from across the globe, called “Sciencing While Blind,” where participants could network and exchange tips and tools. Conchita, who is currently pursuing a doctorate degree in Special Education, would use the Holman Prize to create a workshop in her native Mexico for professionals in the blindness field, and blind people of all ages. Alieu, the founder of the blindness advocacy organization Start Now, would use the Holman Prize to provide various skills, including computer literacy, cane travel and Braille, to blind and low-vision participants in rural Gambia. Sandeep, who has developed a tool called Eye Renk, which allows the visually impaired to easily differentiate between various ocular medications, would use the Holman Prize to build a lab for further development of Eye Rank and other technologies for the visually impaired. Kiplangat would use the Holman Prize to develop a program to enable his fellow blind and low-vision Kenyans to become dairy farmers and entrepreneurs. Aishwarya, a filmmaker and rehabilitation counselor, would use the Holman Prize to create a training center for the blind and low-vision community to study elements of filmmaking like script writing, film editing, sound mixing, production and more. Red, an extreme sports enthusiast, would use the Holman Prize to undertake an extreme sports triathlon to conquer Am Buachaille, one of the most remote rock pinnacles at the Northwest tip of the United Kingdom. 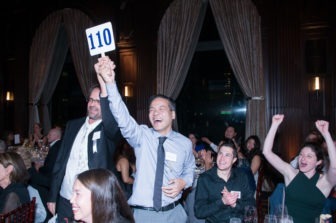 Learn more about the Holman Prize for Blind Ambition at www.holmanprize.org. Our 2018 Holman Prize applicants were met with a challenge in the first round: to create a 90-second video pitching a dream project, and giving us a taste of their motivations and personality. We received applications from every continent (except Antarctica), and have narrowed the field down to 42 worthy applicants. The most important thing about the Holman Prize, though, is the entire group of applicants and the impressions they make on the world. 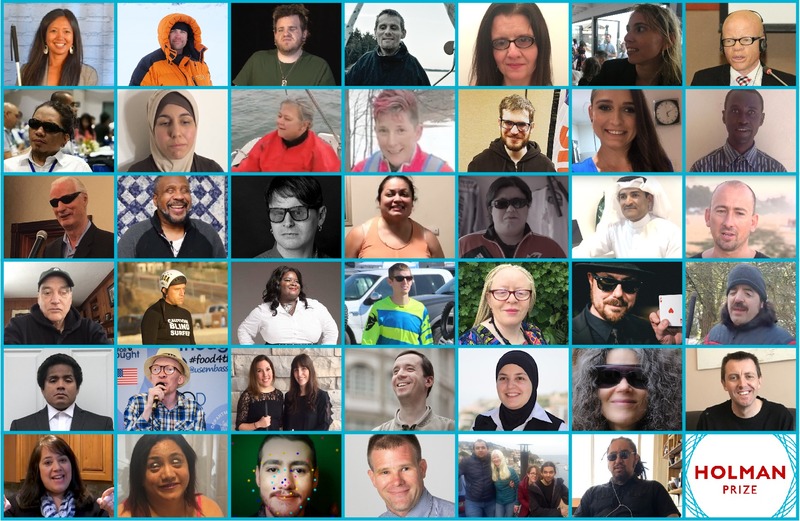 Our 2018 candidates pitches were viewed thousands of times on YouTube: that’s thousands of people watching videos that chip away at stereotypes of blindness and offer a multifaceted view into the wide ranging and one-of-a-kind ambitions of blind people worldwide. Below is the list of semifinalists for the 2018 Holman Prize. In June, their proposals will be reviewed by the 2018 Holman Committee — a fresh group of highly accomplished blind women and men from around the world, comprised of some returning judges and some new to the committee. Becky Andrews, a marathon runner and cyclist, would use the Holman Prize to implement a series of empowerment retreats for blind and visually-impaired women. Manuel Aregullin, an assistive technology instructor who has also studied music in Cuba for more than twenty years, would use the Holman Prize to teach Cuban music to large groups of students, as well as upgrading the assistive technology he uses in his lessons and purchasing more instruments. Michael Armstrong would use the Holman Prize to train for a triathlon, which he would complete using a non-visual technique called Vibravision that would enable him to compete without the aid of technology or a sighted companion. Edward Babin, a songwriter, producer and entrepreneur who performs as Eddy Echo, would use the Holman Prize to organize a showcase for blind and visually impaired musicians in New York City. Luanne Burke, a seasoned long-distance runner, would use the Holman Prize to educate rural visually-impaired communities around the world – including countries like Scotland, China and New Zealand – about the joys, and logistics, of guided running. Stacy Cervenka, who works in the disability employment field, would use the Holman Prize to launch an accessible travel forum similar to Yelp or TripAdvisor, geared specifically towards blind users. Peggy Chong, the “Blind History Lady,” would use the Holman Prize to conduct research into the Blinded Veterans of WWI through the Maryland Historical Society, Library of Congress, and more. Jean Elston would use the Holman Prize to travel North America, creating small paintings and sketches that she will turn into larger pieces when she returns home. Jean would also create a video blog of her journey, to give her audience more insight into her process and challenges. Matt Formston, a longtime surfer, would use the Holman Prize to teach his blind and low-vision community how to become surfers themselves and to “share the feeling of freedom” that surfing can provide. Divyanshu Ganatra, an entrepreneur and avid paraglider, would use the Holman Prize to facilitate mountaineering, rock climbing, scuba diving, paragliding and more for both his visually-impaired and sighted peers, with the hope of creating a larger dialogue around disability. Nathan Gibbs, a tech consultant and web developer, would use the Holman Prize to continue his “As Alexa Sees It” project, which is intended to make Amazon’s Echo technology even more useful for blind and low-vision consumers. Leona Godin, an actor and writer, would use the Holman Prize to expand her magazine “Aromatica Poetica,” which is “dedicated to the arts and sciences” of smell. Furthermore, she would use the prize money to fund her own prize, geared in part towards visually-impaired writers. Carol Green, a teacher of the visually impaired, would use the Holman Prize to teach Braille, in the Navajo language, to blind children and adults in the Navajo Nation during a summer program that would also include life skills training. Andrew Hasley, a biologist and geneticist, would use the Holman Prize to facilitate a conference for blind scientists and students from across the globe, called “Scienc’ing While Blind,” where participants could network and exchange tips and tools. Markus Hawkins, a long time practitioner of the healing arts, would use the Holman Prize to travel to China to study the healing art of chilel, and then incorporate it into his practice upon returning home. Conchita Hernandez, who is currently pursuing a doctorate degree in Special Education, would use the Holman Prize to create a workshop in her native Mexico for professionals in the blindness field, and blind people of all ages. Justin Holland, a bodybuilder and video blogger, would use the Holman Prize to travel the world and engage with blind and low-vision communities, encouraging them to get involved in adventures and athletic activities. Georgina Hollinshead, who says she was “born a crafter,” would use the Holman Prize to launch a social enterprise called Hook and Eye Crafts, geared toward teaching blind and visually impaired people the joys of knitting, crochet and cross-stitch. Alieu Jaiteh, the founder of the blindness advocacy organization Start Now, would use the Holman Prize to provide various skills, including computer literacy, cane travel and Braille, to blind and low-vision participants in rural Gambia. Ambrose Lasoy would use the Holman Prize to develop a program to enable his fellow blind and low-vision Kenyans to become dairy farmers and entrepreneurs. Rachel Longan, a psychotherapist and singer, would use the Holman Prize to travel both the United States, and around the world to countries like Russia and Tanzania, teaching pre-existing vocal choirs how to make their organizations more accessible and accommodating for blind and low-vision participants. Zahra Majid, who is currently pursuing a degree in media studies, would use the Holman Prize to travel and meet with visually impaired students around the world, in countries including Canada, the United States and Scandinavia, in order to gather a wealth of information for a database project she is calling VIAdvisor. Dr. Sakui Malakpa, a university professor originally from Liberia, would use the Holman Prize to purchase laptops and other training tools for blind and low-vision communities in Liberia and Sierra Leone. Michael McCulloch, a retired aerospace engineer, would use the Holman Prize to produce an audio described documentary film about his upcoming hiking trek to Machu Picchu, one of the Seven Wonders of the World. He would also write a book entitled “The Blind Man’s Guide to Machu Picchu,” containing hiking instruction, tips and more. Louie McGee, an athlete and current high school senior, would use the Holman Prize to fund his training for the Iron Man competition, with a speaking tour to follow. Francis Okello Oloya, a psychologist, would use the Holman Prize to create a guide dog program for his blind and low-vision community. Joshua Pearson, an accessibility specialist and folk singer, would use the Holman Prize to record under-the-radar musicians around the world, in countries including the United Kingdom, Thailand, Vietnam and more. Kellsea Phillips, a passionate athlete and aspiring competitor in the TV show American Ninja Warrior, would use the Holman Prize to train for, and attend, more competitions and auditions for the show. Sandeep Kumar (People’s Choice Finalist), who has developed a tool called Eye Renk that allows the visually impaired to easily differentiate between various ocular medications, would use the Holman Prize to travel and teach underserved communities about Eye Renk. Mariano Reynoso would use the Holman Prize to bring the sport of Beep Baseball to his home country of Argentina. Maria Saavedra, a dance instructor originally from Colombia, would use the Holman Prize to launch a dance academy designed specifically for the visually-impaired community. Marco Salsiccia, an accessibility specialist and self-proclaimed “hockey nut,” would use the Holman Prize to travel for a full year with the San Jose Sharks hockey team, attending at least one game at each arena, in order to assess the accessibility of each rink and promote hockey to blind and visually-impaired athletes. Matthew Shifrin, an actor and composer, would develop a multi-sensory comic book experience called “Hapticomix,” based on the Daredevil series, that incorporates surround sound, original music, a full cast, motion-simulation, and smell. Red Szell, a writer and broadcaster, would use the Holman Prize to undertake an extreme sports triathlon to conquer Am Buachaille, one of the most remote rock pinnacles in the UK. Aishwarya T.V., a filmmaker and rehabilitation counselor, would use the Holman Prize to create a training center for the blind and low-vision community to study elements of filmmaking like script writing, film editing, sound mixing, production and more. Johnny Tai, a Martial Arts trainer, would use the Holman Prize to provide martial arts courses for the blind and visually-impaired community in his native Taiwan. Danny Thomas Vang and Jeshua Gilbert Aveno would construct a multi-sensory “escape room” that enables visitors, and visually-impaired users in particular, to gather information and instructions from their environment. Antyenette Walker, who performs under the name Young Ant, is a hip-hop MC who would use the Holman Prize to create more music and share it with her fans around the world. One year ago, we launched the first annual Holman Prize for Blind Ambition, and embarked on a journey to change the public face of blindness and empower people worldwide to challenge the status quo and reject naysaying narratives around blindness. It’s been an incredible year getting to know and following along with our 2017 prizewinners, Penny Melville-Brown, Ahmet Ustunel and Ojok Simon. James Holman was not your average nineteenth-century blind explorer. Safe to say, “nineteenth-century blind explorers” is not really a reliable dataset. 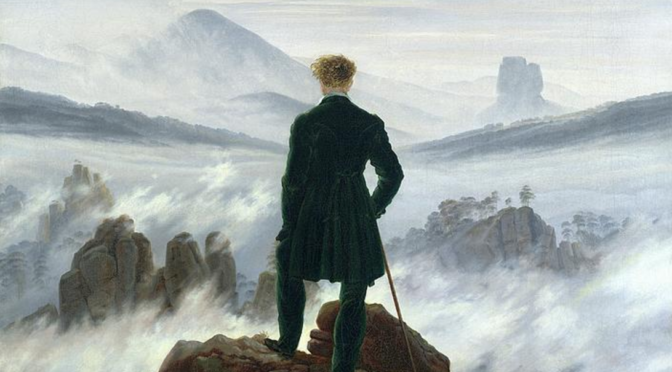 Traveling the world alone is not unusual for blind people today, so today we view James Holman as an outlier—a sign that we’ve made some progress in these couple hundred years. In the future, the strivings of today’s outliers will seem similarly achievable, and we will thank them for breaking the mold. 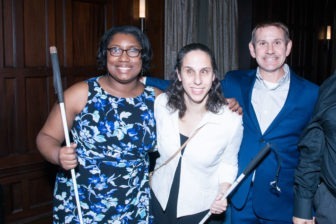 This year, we saw the launch of The Holman Prize, dedicated to pursuing and promoting the passions of blind people everywhere, and it’s my pleasure to introduce you to the prize’s first three winners. First, though, you need to know a bit about James Holman. You can (and should) read about him in the exquisitely detailed biography by Jason Roberts (available on both NLS and BookShare). I sincerely promise that it will reshape your assumptions about what blind people could accomplish in the early nineteenth century. So when the Lighthouse for the Blind in San Francisco announced a competition for the first annual Holman Prize at the beginning of this year, they must have known they were setting a pretty high bar. It was a prize clearly intended to reward the doing of splendid things: audacious things that startle, delight, and challenge. As hoped, the announcement brought forth a glorious deluge of entries literally from around the globe. Asked to submit ninety-second YouTube videos describing an ambitious project on which they would like to spend $25,000, over 200 blind people responded with entries which ranged from the adorable to the impressive and from the truly beautiful to the unapologetically weird. Once you finish reading the Holman biography, I heartily recommend that you spend a long, fascinating evening streaming some of those videos. We are, it turns out, a pretty audacious group of people. Let’s begin with Penny Melville-Brown. You would know immediately if you were in a room with Penny, the mastermind behind the “Baking Blind” project, because you would hear her signature laugh. Gregarious and confident, Penny has no doubt about what she wants to do. Like James Holman, she is a native of Great Britain, and like James Holman, Penny went blind while serving in the British Navy. She also shares Holman’s urge to travel. Penny intends to conquer the world kitchen by kitchen, exploring the cuisine from Costa Rica to China and filming cooking shows with local chefs as she goes. But this isn’t only about, maybe isn’t even mostly about, adaptive cooking techniques. Penny’s project is about community and about the generous and welcoming spaces that open out when people share food. Penny’s positive nature and her humor draw people around the dining table where she presides, and the gastronomic wonders she creates make them sit down and stay put. As people break bread together, (and such bread you have rarely tasted) barriers fall, and they talk. With her recipes in hand, (and perhaps wielding a wooden spoon if necessary) Penny will weave these communities together as she goes. 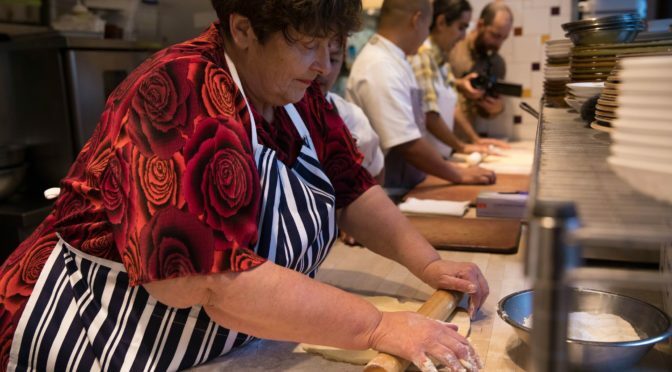 The chefs will learn from the blind cook, the blind cook will learn from the chefs, and everyone at table and watching on the videos will learn to trust one another just a little bit more. Ojok Simon is a gracious, dignified man from Uganda whose gentleness and soft-spoken demeanor at first seem strangely at odds with his project. Ojok is a bee keeper: not just any keeper . . . Ojok Simon is a keeper of Africanized bees. Where many of us skitter anxiously away at the near approach of even a single honeybee, Ojok regularly sinks his hands and arms into billowing swarms of them, moving them about, adjusting their hives, and deftly making off with quantities of their honey. When I asked (admittedly in some alarm) about how this was done, another blind bee keeper from Northern California, Aerial Gilbert, helped make sense of it for me. Bee keeping, she explained, is a gentle endeavor; the keeper becomes known to his bees and learns to move deliberately and easily among them. It’s not a contest; it’s a dance. Ojok does wear protective gear and he does get stung, but he explains that he is not afraid of his bees because they have no desire to hurt anyone. If approached calmly, they will react calmly. This is remarkable enough, but Ojok’s Holman Prize was not awarded because of how handy he himself is around an apiary. In a country where jobs are hard for blind people to find, Ojok’s project is to teach other blind Ugandans what he knows. At this writing, he has thirty-eight blind students ready and willing to learn from him, and he has established a small foundation to help purchase the startup gear each will need to become his or her own boss, selling beeswax and honey. Ojok nimbly avoids the problem of convincing Ugandan employers to hire blind people by setting these blind people up as their own bosses. In what has become the Holman tradition, his method is both startling and extraordinarily clever. The third Holman prize winner, originally from Turkey but now living in San Francisco, is a special education teacher named Ahmet Ustunel. Ahmet is that high school teacher who wins the kids over with a combination of steady confidence and a touch of playfulness: the kind of teacher who’s cool without making too much of it. He exudes an insuppressible, quiet joyfulness. Still, because he is actually a little bit shy, you might walk right by him at a party without knowing he’s there. If you want to draw him out though, I suggest leaning over and whispering “ocean!” or “fishing boat” or better still “pirate,” and you’ll have his full attention. 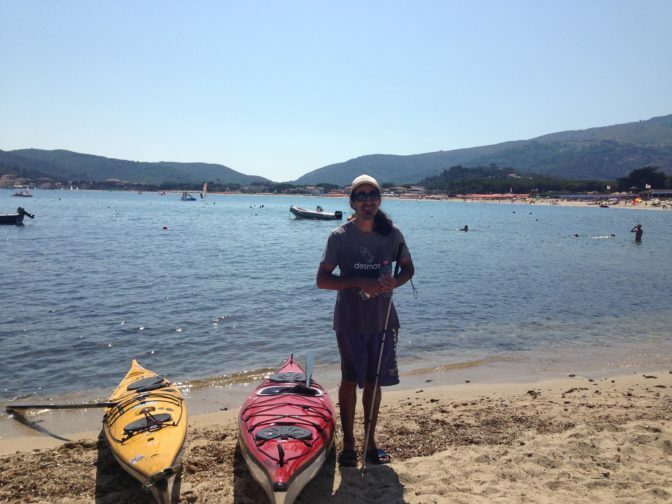 Ahmet’s project involves a kayak, a ton of very cool high tech equipment, and the Bosphorus Strait: a narrow body of water that separates Europe (on the west) from Asia, on the east. Ahmet plans to paddle his kayak solo across the strait: no mean feat when you consider the currents, the wildlife, the traffic buoys and, not to put too fine a point on it, but also the merchant ships (which are larger than most houses) that thunder along the Bosphorus on their way to the Black Sea. Ninety percent of his project, he says, undaunted, is in the preparation: the physical training, the testing of the technology, and working out logistics. His kayak will be outfitted with all the cool gear a geek could dream of: GPS, radio, and all manner of obstacle detectors. That along with his sense of the sea, his hands in the current, and his knowledge of the wind direction will guide him safely across. And, if our own cool tech doesn’t let us down, we’ll get to follow along when he makes the crossing in July 2018. The thing that distinguishes this first set of Holman Prizewinners is not their jobs or mastery of blindness techniques or their eloquence in discussing philosophy of blindness. Like all the rest of us, they sometimes drop things or come up short when a stranger on the street asks them some ridiculous blindness-related question. The spark that they all share is their conscious, enduring belief in blind people and their willingness to share that belief as part of their community, offering and accepting strength along the way. They reminded me that we all have a bit of James Holman in us. Over the next few months, we’ll cheer them on as they embark on their adventures. Next time, it will be someone else. So, heads up, all blind adventurers, inventors, dreamers, artists, musicians, scientists, builders, healers, troublemakers, and all the rest of you daring, merry, audacious believers: it’s not too early to start thinking about next year. Applications for the 2018 Holman Prize open on January 16, 2018. Visit www.holmanprize.org to learn how to apply. Sheri Wells-Jensen is a linguistics professor at Bowling Green State University, a curious connoisseur of insuppressible blind living, who served on the judging committee for the inaugural Holman Prize for Blind Ambition, held in San Francisco in June 2017. The Holman Award is granted to those who have an idea that, if funded, will expand the possibilities for blind people. Submit your pitch video starting January 16. We’re thrilled to announce the return of the Holman Prize for Blind Ambition, our annual $25,000 award for blind adventurers and creators. Ahmet Ustunel is training to kayak Turkey’s Bosphorus Strait, completely solo; Penny Melville-Brown is taking her YouTube baking show to six continents; Ojok Simon is teaching his fellow Ugandans to become self-sustaining beekeepers. Named after the 19th century blind world traveler James Holman, the Holman Prize empowers blind men and women from around the world to complete the journeys and projects of their dreams. What would you do as a Holman Prizewinner? Applications for the prize open on January 16, 2018. We encourage you to start planning ahead! The initial application is a quirky one: we ask that you send us a 90-second YouTube video explaining what you would accomplish as a Holman Prizewinner (as well as a brief written questionnaire). Once applications close, a select group of semifinalists will be chosen to submit in-depth written proposals, and later, finalists will be interviewed by LightHouse staff. Check out last year’s finalists’ video proposals to get acquainted with the types of projects you can pitch. To learn more about the prize, and whether your idea qualifies, please visit our website. If our FAQ page doesn’t answer your questions, feel free to get in touch with Max Levenson, Holman Prize Coordinator, at mlevenson@lighthouse-sf.org.